launches digital rebrand and new responsive website to increase market share for its innovative satellite technologies. For more than two decades, Advantech Wireless had built a legacy of excellence, designing and manufacturing terrestrial satellite communications solutions for military, government and commercial clients. Advantech Wireless’ solutions are central to missions of global significance, and enable communication to remote and challenging regions in the farthest reaches of the globe. 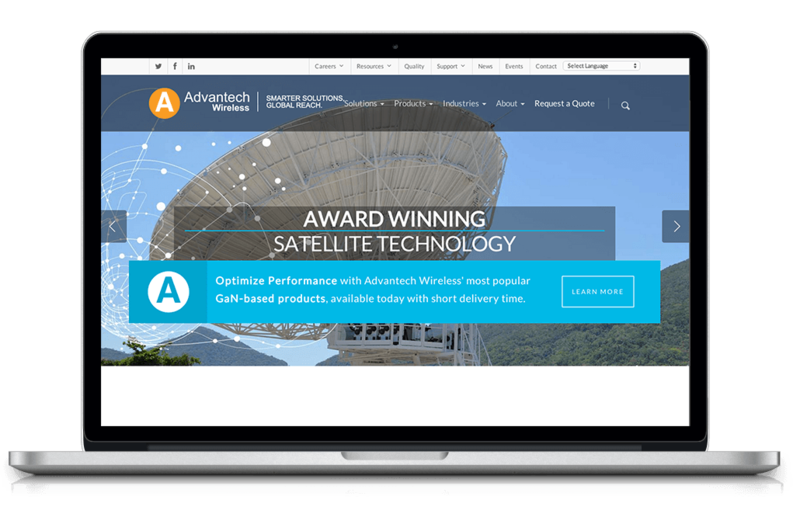 However, in an increasingly competitive market, Advantech Wireless leaders realized that in order to achieve continued growth, the company needed to develop a digital brand that accurately reflected its advanced capabilities and proven expertise. Further, Advantech Wireless needed a digital presence that made it easier for customers to locate products, and interact with the Advantech Wireless sales team. To bring this plan to life, Advantech Wireless executives turned to trusted partner Borenstein Group to develop a strategic brand to take the company to the next level of success. Borenstein Group began by meeting with key stakeholders across business development, engineering, manufacturing and executive leadership at Advantech Wireless’ global headquarters in Montreal, Canada. During this in-depth discovery phase, Borenstein team was able to identify key differentiators that make Advantech Wireless solutions distinct from competitive providers. Borenstein developed the new brand tagline “Smarter Solutions, Global Reach.” to capture the innovation and importance of the company’s solutions. The Borenstein team designed and developed a new, modern, responsive website complete with robust product search functionality to enable fast and easy access to the company’s hundreds of products. To complete the brand launch, Borenstein wrote, designed and produced a high-impact brand launch video to introduce the new digital brand to market. In addition, Borenstein has produced collateral, and a collection of customer testimonial videos to give Advantech Wireless customers a clear voice to validate the company’s expertise. Advantech Wireless continues to win awards for innovation, and excellence in product design. In this way, the world is consistently honoring the company’s “smarter solutions.” Now, Advantech Wireless has a modern and engaging digital brand that accurately reflects the company’s continuous innovation and expertise. 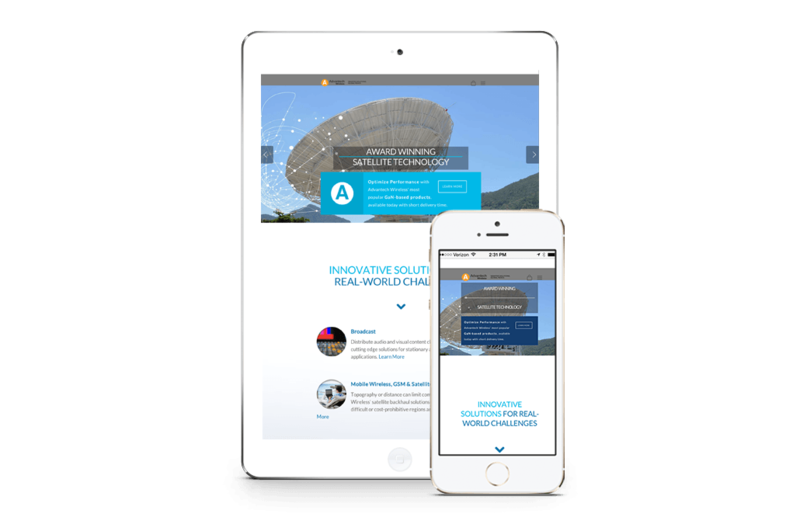 In a highly competitive industry, Advantech Wireless is a front runner with a responsive website, and digital tools that are leaps ahead of the competition. Customers have the ability to search, locate and request a quote on specific products, which accelerates the sales cycle and improves customer service. Overall, Advantech Wireless is now positioned to achieve strategic growth and provide “smarter solutions” for a broader global audience.